Interested in reducing air intake noise on your 5X-12212 stage-2 intake for the 2012-2014 BMW 328i (F30)? 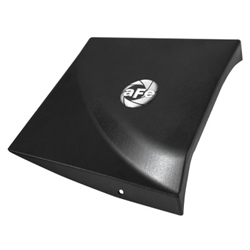 aFe Power now offers an intake cover to do just that. This lightweight vacuum form plastic cover bolts right up to the intake housing and comes with all necessary hardware, no modification is necessary. The aFe Urocal logo is front and center letting everyone know what brand of intake you have while providing a stealthy, yet aggressive style . Creates a stealthy underhood look while reducing air intake noise.